This is sponsored by Underground, one of the 60+ stores at Historic Smithville. Come spend a Day and night in the Village and take part in the area’s largest Zombie Walk! Vendors and music throughout the day and the “walk” begins at 6:00. Show up all ready in full costume and make up or we will have makeup artists on site. The rain date for this event is November 3, 2018. 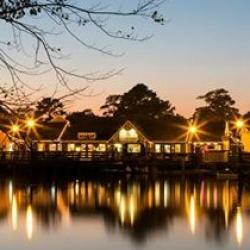 Historic Smithville offers 60 shoppes, 7 eateries, carousel ride, train ride, paddleboats and arcade, on site lodging at the Colonial Inn and over 26 free weekend events!